Specifically This Manual Is Designed For 1996 to 2007 Automatic Transmissions. Dodge and Jeep Models Contain all the same basic engineering principles. The only difference in most of these models is case and some planetary changes. In Our Opinion This Is One Of The Best Books ATSG Has Ever Published ! 1) this arrived very quickly and helped so MUCH 2) the book contained much more than i expected 3) information was so detailed it made my repair easy 4) this blows the factory & other manuals away 5) A bit costly but worth every penny ! 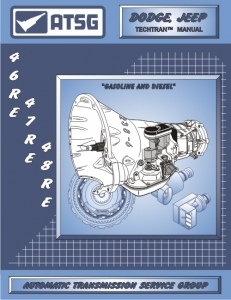 If you're rebuilding on of these transmission YOU WANT THIS BOOK PERIOD! Delivered as promised, quality manual, very informative , all around a pleasant online experience. This Manual was much more detailed than expected. The book was a Great Help !!!!! I was a bit skeptical about ordering this manual along with my other transmission parts. My apprehension was mainly the price but also the fact that I felt comfortable with my mechanical abilities to be able to work on my transmission without it. 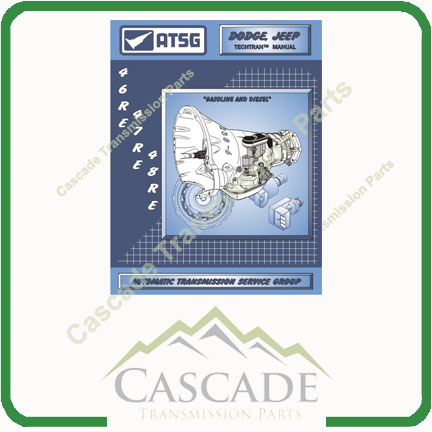 Upon receiving it I realized just how important it was for all the overlooked issues such as torque specs for parts and troubleshooting electrical parts. The drawings are clear and easy to use also. 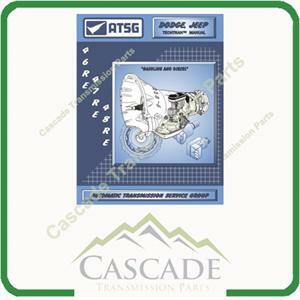 I highly recommend getting the manual for any transmission issues you may have. It's worth the money.